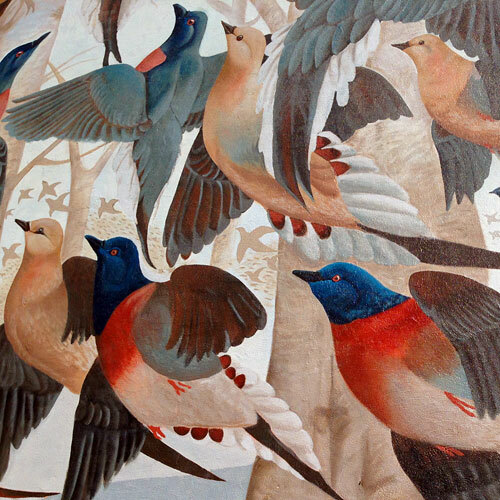 This ArtWorks mural designed by John A. Ruthven commemorates the life of Martha, the last passenger pigeon, a once-numerous bird species that is now extinct. It covers a large wall on Vine St. between 7th and 8th Sts. in downtown Cincinnati. This holiday season, give the gift of independent design! There have been so many initiatives lately aimed at supporting small, independently-owned businesses. In case you haven’t yet had enough, or if you’re still on the hunt for a few special gifts, here are some picks from the various corners of my microcosm: friends, former schoolmates, friends of friends, all of them lovely people creating beautiful work.